Effusively optimistic headlines have recently been touting an economic “recovery” in the U.S. based on the fact that there are now more millionaires in the nation than ever before, according to a study by the Boston Consulting Group. Yes, the United States boasts 1,250,000 newly-minted millionaires last year. We’re rich! The predictable narrative in some media outlets has a touch of class warfare, with the rich getting richer. Contrast this with the recent spate of various sobering reports, such as the placement of “anti-homeless” spikes in front of luxury hotels and apartment buildings and South American child refugees driven to the U.S. by poverty and violence in their native lands. So a story like this, centering on huge sums of wealth, can easily be couched by the news in terms that hit an emotional chord – maybe even an angry chord. This story should strike an emotional chord. But it’s not the newly-minted millionaires that should be the target of any anger or jealousy. The policies being implemented from Washington and Wall Street are benefiting someone, for sure. Wall Street is still reaping jackpot profits. Politicians aren’t suffering either. But for those Americans who can afford to do so, hoarding up and saving $1 million is purely defensive. How many of these new millionaires don’t think of themselves as fabulously wealthy, but more like upper-middle or even middle class? We’d guess that it’s quite a large portion, because a million dollars isn’t what it used to be. In fact, it’s not even that great of a retirement nest egg anymore. With interest rates as low as they are right now, sustainable revenue on $1 million is only running around $40,000-$50,000 annually. A decade ago you could count on $70,000-$80,000 for the same amount, and prices were lower all around you. So, in every way, especially to retirees, one million dollars really is not what it used to be. More and more, it is becoming a baseline, rather than a pie-in-the-sky retirement. We can never stress enough that your wealth isn’t determined by the number of dollars in your bank account but instead by the purchasing power of those dollars. It is the return on investment you can get. It is the lifestyle you can afford with those dollars. And if inflation is rising, if each of those dollars holds less value, the number of millionaires will naturally rise as well. But it doesn’t mean those millionaires are wealthy. Zimbabwe had trillionaires, and they were going hungry. 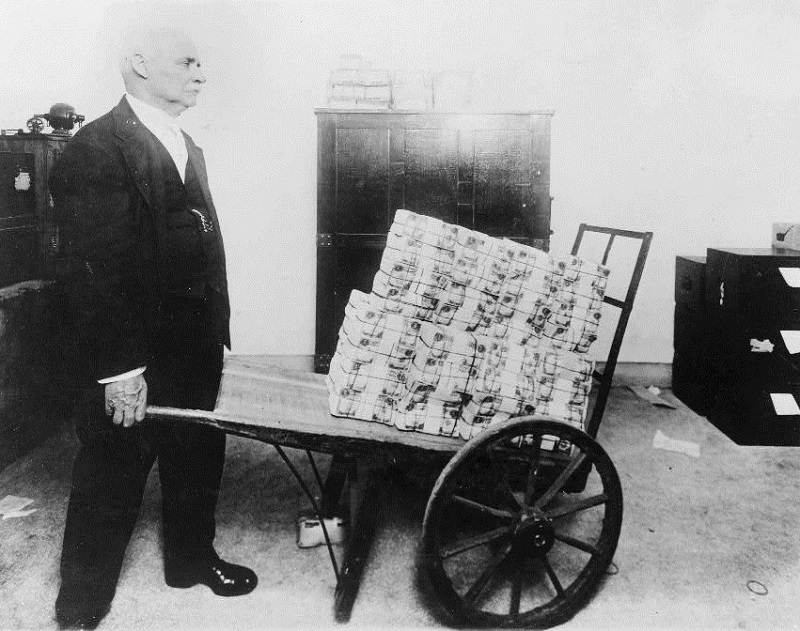 Every economy that tips into hyperinflation gets entire populations of millionaires and billionaires who still live in poverty. Obviously then, having a lot of money does not make you wealthy. Is your money worth anything? Does it buy anything? What does it do for you? The creation of more millionaires is something you would expect if inflation was heating up – and it is. The Wall Street Journal is warning that real, actual, on-the-ground inflation is running well above the target 2%. The Federal Reserve likes to keep its head in the proverbial sand of inflation stats, which exclude food and energy. Sure, if you exclude the most vital categories of consumption, you get a 1.4% inflation rate and a license to print more money. Never mind the experience on the ground of 3.6% inflation. Or going back to legacy calculations, a 6-9% inflation rate. Don’t confuse the Fed with facts. The reality is the Federal Reserve and its whole philosophy about money, borne out through reckless monetary policy, is destroying American retirements. Low interest rates are killing returns on investment and decimating retirees and savers. They are doing this all in the name of jump-starting consumption now. They are trading your retirement security and future for short-term positive economic indicators now. It is a picture-perfect illustration of being penny-wise and pound foolish. Another insidious aspect of this is that as we require more and more dollars to maintain the same lifestyle, and more and more dollars are pushed out into the economy, we will all be pushed into higher tax brackets. The IRS will happily take advantage of inflation and bad monetary policy so that they can take more and more of your wealth. How can we get ahead in this environment? The folks who are destroying the value of the money you have sacrificed so much to save are all too often the same ones who will also tell you that gold is a bad “investment”. Really? What’s the alternative? Retirement as a starving millionaire? We encourage you to decide on your own terms how to defend against that type of future – and when you’re ready to get started with precious metals, we’re here to help get protected.